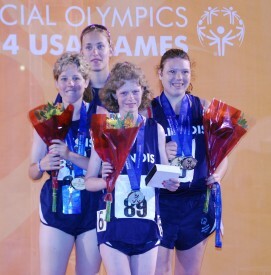 Athlete Taylor Reidel, 24, of Normal, has had quite a year with Special Olympics and one that she will never forget. 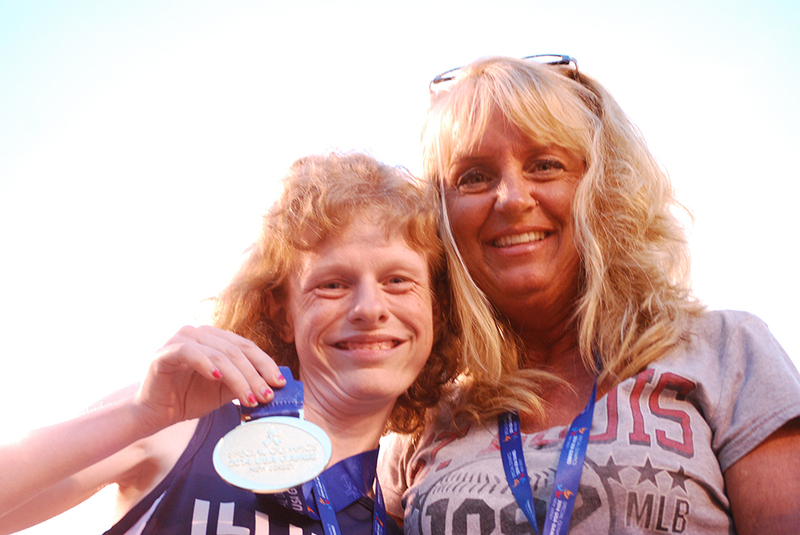 Taylor competed in athletics at the 2014 Special Olympics USA Games in New Jersey, where she took gold in the 4×100-meter run and silver in the 200-meter run. She also received a participation ribbon in the 100-meter run. While Taylor has had much success competing this year, she has also other successes like becoming a Global Messenger. As a Global Messenger, she is responsible for spreading the word about Special Olympics to groups in the community. 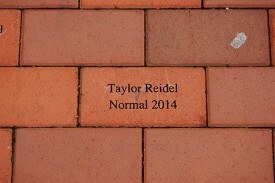 To commemorate her many accomplishments, Taylor’s grandmother purchased a brick for her in Special Olympics Illinois’ Tribute Park. “We are all so proud of her accomplishments with Special Olympics and we wanted a lasting memory of her involvement in it,” said Taylor’s mother, Kristine. The brick states her name, town and the year it was purchased. Special Olympics has been a part of Taylor’s life since she was 7 years old. Her family has had the opportunity to meet many families and athletes. “We couldn’t imagine our life without Special Olympics being a part of it,” said Kristine. 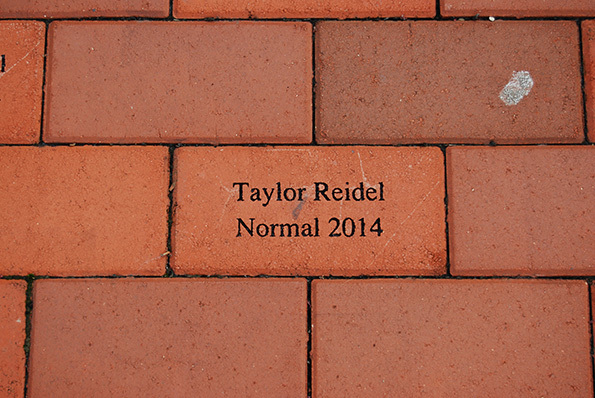 By purchasing the brick in Tribute Park, her family will always be reminded of Taylor’s success with Special Olympics. Tribute Park serves as a lasting reminder of all those who make the Special Olympics experience a reality. The Tribute Park is a great way to honor and recognize loved ones, someone who has inspired you or made a difference in your life, while building a timeless treasure for Special Olympics Illinois. Funds received will sustain the park’s future expenses, as well as support the development of athlete and family experiences at a national and international level. Want to purchase a brick? You can purchase it directly online by filling out the online form or you can download a form.